It has come to our attention that some flower importers in Miami have used a recent weather situation in Ecuador to cause alarm and are implying an upcoming drastic production shortage as a result of this weather incident. 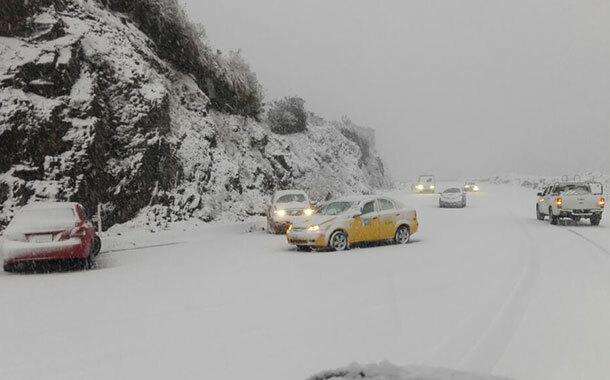 The area where Ecuador experienced, for the first-time ever, light snowfall (actually it was more hail than snow) is far removed from where ALL flower farms are physically located. No damage has been caused to farms as a result of what occurred last week. End of story! The current lower production is purely due to the normal production cycle and a bit colder weather has made the shortage a small percentage more notable but that is it! If you want to be properly informed, always connect with Aribaflor FIRST! This entry was posted in Blog, Ecuador, Weather. Bookmark the permalink.